← It’s Been Three Years Since I Quit My Day Job! 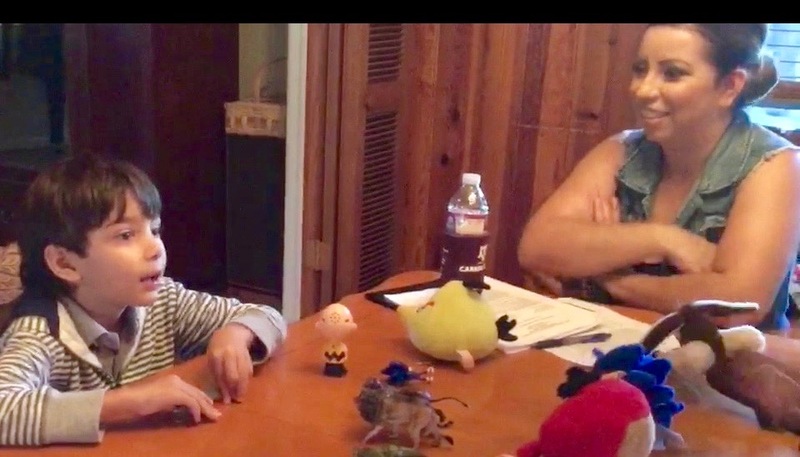 During the MIGDAS diagnostic interview conducted on 11.3.16, Aleczander played appropriately with sensory toys as well as his own familiar and favored toys. He never lined toys up, refused to share, or insisted on performing his own routines. No rigidity was observed. During the structured activities, interactive play activities, and familiar and unfamiliar tasks, his behavior was appropriate for his age and skill level. When presented with language-based requests Aleczander was attentive and compliant. He never appeared confused by verbal and nonverbal prompts, and frequently looked to his mother to clarify his responses. He demonstrated none of the behaviors that are generally seen in a child with an ASD. While a Pervasive Developmental Disorder, NOS can’t be ruled out due to Aleczander’s history of delays in speech, fine and gross motor skill development, it does not appear likely as if an ASD is the primary causality factor in his academic difficulties. Part 1: Sensory materials: His play behaviors with squishy balls, vibrating head scratcher, flashlights, and other toys with sensory properties appeared to be developmentally appropriate. He played with the toys with mild interest without getting stuck on sensory qualities of any items. When the adult copied his behaviors with the toys, he noticed what was going on, and then turned the activities (such as rolling a ball back and forth across a table) into an interactive game. When presented with the vibrating head scratcher toy, he watched intently as examiner demonstrated how to turn it off and on and hold it over the head, and then exactly imitated the movements without looking at the toy as he held it over his own head. He was equally responsive to all adults present. Aleczander responded to all verbal requests and directions and redirections appropriately. He often looked to his mother for help when he was attempting to respond verbally, but never needed her to translate any of the directions or requests presented during the session. At no point during these tasks did Aleczander display any emotional or social difficulties such as heightened anxiety, inflexibility, inability to respond to social praise, redirection, auditory suggestions to change directions, or inability to correctly interpret verbal and nonverbal feedback from others. While his words were mostly unintelligible to examiners, his mother had no trouble interpreting for him, and he used facial expressions (head nodding, smiling with mouth and eyes, questioning look, head shaking, ducked chin) to convey meaning and responses. He used eye contact both to ask and answer questions. His facial expression changed often as he interacted with adults. He imitated actions of examiners. Part 3: Physical play (game of catch, interactive writing activity) Aleczander is able to motor plan adequately when playing gross motor games with adults. Because he was coughing during the session (asthma), we didn’t try running and chasing games, but parent report and examiner observation during a home visit is that he doesn’t display motor differences consistent with an ASD although he does have gross motor differences that might be suggestive of some sort of learning disability. This entry was posted in Saving Aleczander. Bookmark the permalink.